Monarch Air Group provides private air charter in Minsk, Belarus. Our clients benefit from top-notch service, unrelenting dedication to safety, wide selection of aircraft, and years of experience in chartering private jets. To obtain a free quote, please use our online quoting tool provided below, or call toll free 1-877-281-3051. Monarch Air Group provides private jet charter flights in and out of Minsk, Belarus. Minsk is the capital of Belarus situated on the banks of Svisloch River. It is the headquarters of the Commonwealth of Independent States, and a country’s main government and business center. One of the Europe’s oldest cities, Minsk, was mentioned in 1067 for the first time. The city was rebuilt after the Second World War, during 1950s. There are wide squares and boulevards, beautiful architecture, grand block-style buildings, large parks, great nightclubs and restaurants. The most beautiful part of Minsk is Troitskoye Predmestiye, the historic city center with 19th-century houses with colorful facades, cafes and shops. A small footbridge leads from the Old Town to the Island of Tears, a scenic monument to the soldiers killed in the Afghanistan war. The most popular tourist attractions include Independence Square, Victory Square, City Gate, Stella “Minsk – city hero”, the Cathedral of the Holy Ghost, the National Museum of Culture and History, the Chelyuskinites Amusement Park, the Cathedral of St.Helen and St.Simon, the City Hall, the Great Patriotic War Museum, the National Library, Pobediteley Avenue, Independence Avenue, and Railway station. 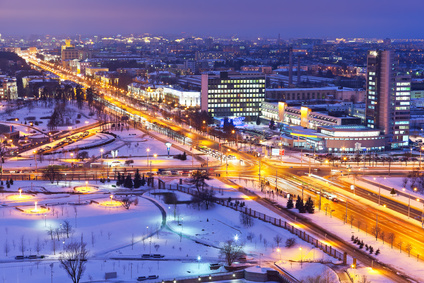 With its rich history and cultural heritage, Minsk attracts tourists from all over the world.